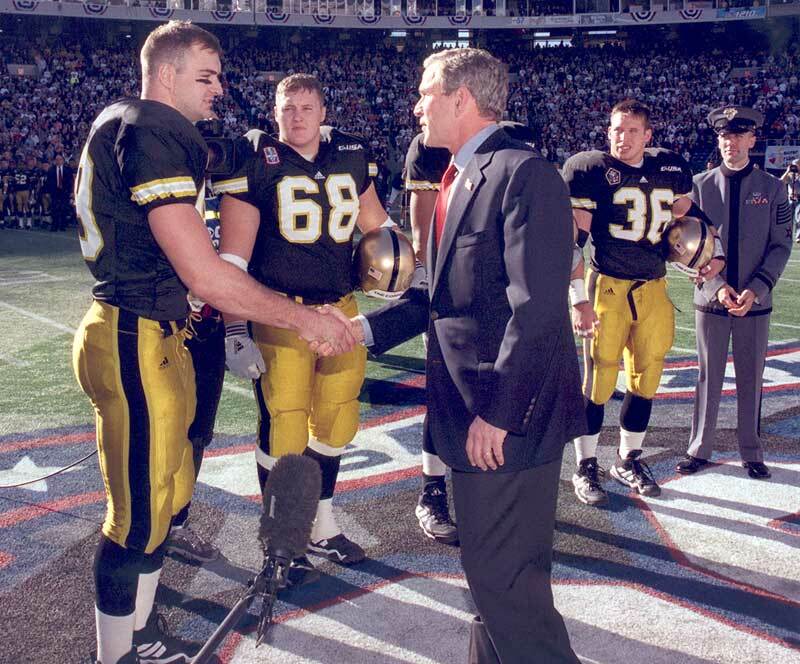 As the 10-year anniversary of the 9/11 terrorist attacks approaches, Ralph Russo of the Associated Press tracked down some of the players from the 2001 Army and Navy football teams. I’m always wary of stories that tie together sports and 9/11, but this is an obvious exception and a truly engrossing read. Many players from the 2001 teams would end up deploying multiple times to war. McDonald, who became a Marine, was seriously wounded in Iraq. J.P. Blecksmith, a receiver for Navy, was killed by a sniper in Iraq. Read “From Army-Navy to Iraq and Afghanistan” on MarineCorpsTimes.com.